Yan Pei-Ming is a Chinese artist born in 1960 in Shanghai. His father worked in an abattoir and his mother in a factory. As he was growing up during the Cultural Revolution, he had to go to propaganda classes at school, in which those who could draw well, did the propaganda drawings for school. Ming was one of them. He draw pictures of Mao Zedong and Red Guards, which he stated in an interview that was really easy for him because it was just a simple copying. He chose to practice art, since his early age, not only because he was good at it, but also because of his stutter, which made him difficult to express himself with words, so he chose a different way of expressing – painting. At the age of eighteen he wanted to study at Shanghai Art and Design Academy but was rejected because of his stutter. In 1980, he went to live with his uncle in Paris, and applied for studies at the National School of Fine Arts in Paris but got rejected again. With a help from his uncle he got a job at Dijon at a restaurant, washing dishes, which he did at night, while during the day he was learning French, at local language school. A year later, he started going to the art school of Dijon, where he spent five years. In 1987 he started doing “epic size” portraits in black and white or white and red. Large amount of his work revolves around the image of Mao. This was because he was already used to paint him, and also because of Mao’s fame, that he used as a strategy for getting noticed as a painter. In 1991, he held his first solo exhibition at the Centre Pompidou. His painting, mostly done in black and white, is a reflection of his pessimistic side, as he says. With his art, he rather reflects the darker side of life, than feelings of happiness and peace. In 2005, after feeling of being forgotten and rejected in China, he returned for his first solo exhibition in Shanghai. In the preface of the exhibition catalogue, he stated that he wanted to be the most recognized and most influential artist in the world. In 2007, he was invited to accompany French president Sarkozy for his trip to China, and although he did not spent much time with him, as he says, he got a chance to meet the head of the Louvre Museum, which eventually lead to his 2009 exhibition in Louvre, The Funeral of Mona Lisa. This was his probably the most provoking exhibition, held in the hall right behind the Mona Lisa, and consisting of a series of huge canvases of a replica of Mona Lisa in the center, and portraits of Ming’s father and the artist himself in a state of death. That year, he also received the medal of Chevalier of the Legion of Honor. Beside paintings of Mao, himself and his father, Ming painted various celebrities, like Bruce Lee, and artist Maurizio Cattelan. In the 1990s he produced large series of portraits of people from the bottom of society, such as prisoners, prostitutes, and homeless children. In his work he also included themes like social and geopolitical conflicts and their consequences. Sudanese Child (2006), is an example of this. Here he depicts suffering under the effects of war, starvation, poverty, and other disasters. Ming made a lot of works like this in which he criticizes modern society. In 2009, Yan Pei-Ming had solo exhibitions at the Ullens Center for Contemporary Art, Beijing, the San Francisco Art Institute, and Louvre. His first solo exhibition in the United States was displayed at David Zwirner in New York, in 2007. Group exhibitions include the Venice Biennale in 1995 and 2003, the Sevilla Biennale in 2006, and the Istanbul Biennial in 2007, among others. His work is held in various public collections like, the Centre Georges Pompidou, the Honolulu Museum of Art, the National Gallery of Australia, the National Museum of Modern Art, Tokyo, the Museum Ludwig, and the Shanghai Art Museum. 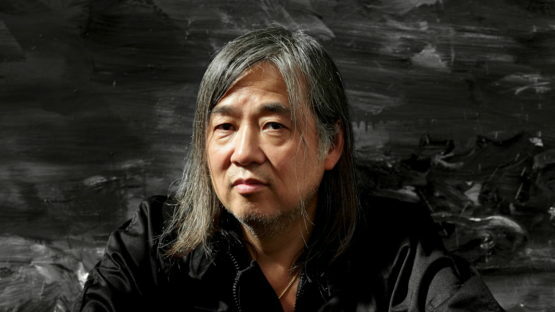 Ming, as the art world and the popular press prefer to call him, is one of the most important figures in contemporary art.